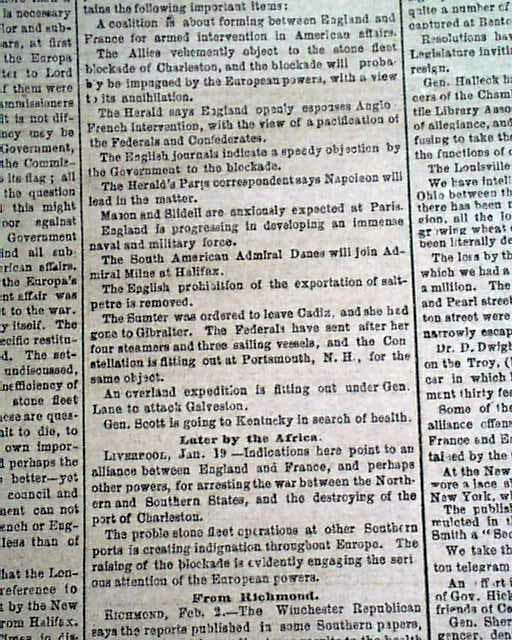 Truly Confederate newspapers from New Orleans are very difficult to find, as Admiral Farragut entered the mouth of the Mississippi in mid-April, 1862 and finally took New Orleans on April 28. 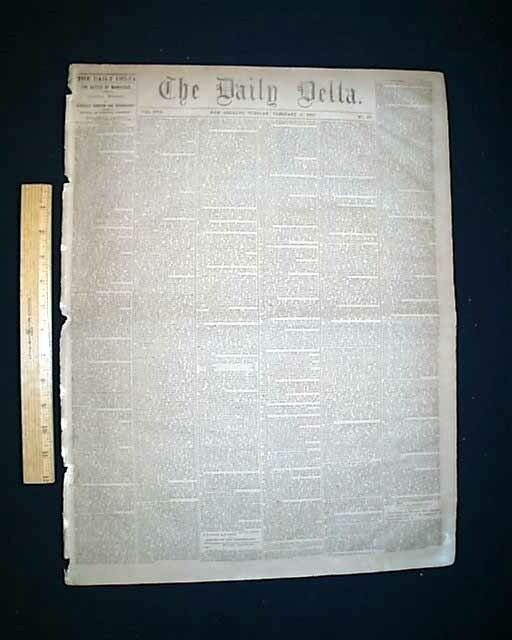 Shortly thereafter Benjamin Butler moved in and took control of the city, it surrendering without a fight. 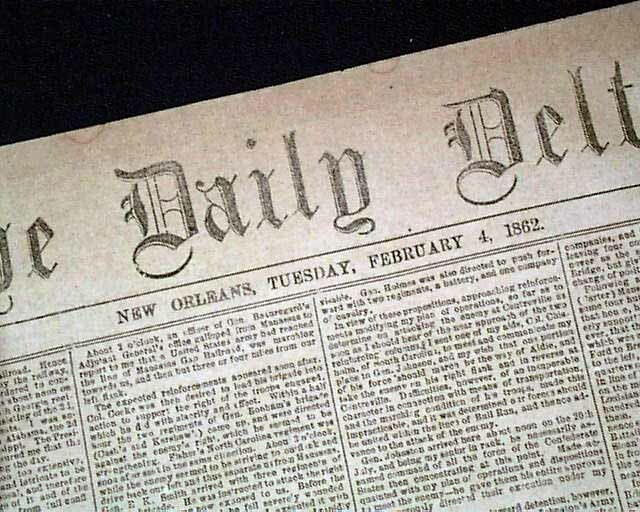 So "Confederate" issues from New Orleans are limited to those published between Louisiana's secession from the Union on January 26, 1861 and the end of April, 1862, just a brief 15 month period. 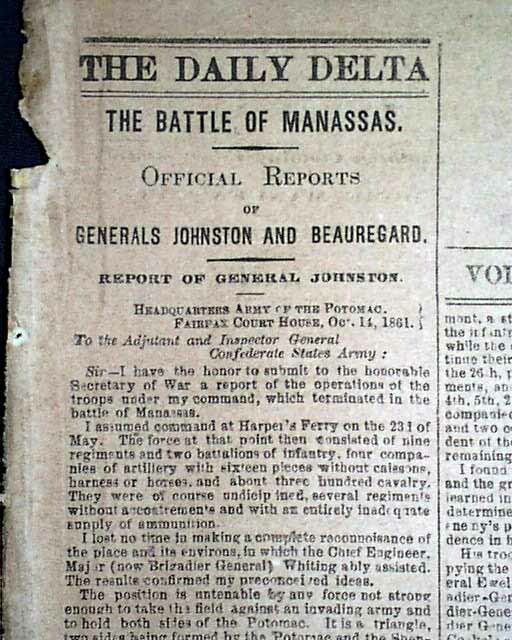 This is a particularly significant issue as almost the entire front page is taken up with: "The Battle of Manassas" "Official Reports of General Johnston and Beauregard" "which begins with the: "Report of General Johnston" which takes half of the front page & is signed by him in type: J. E. Johnston, General, and the balance of the pg. 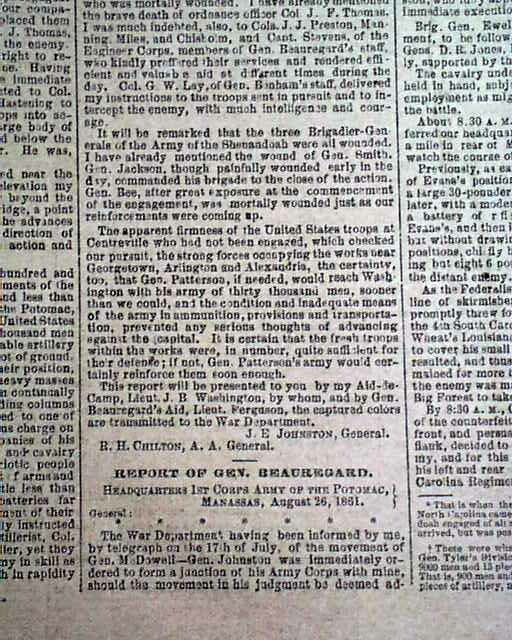 is taken up with the: "Report of General Beauregard" which is concluded in a later edition. The only other item on the ftpg. 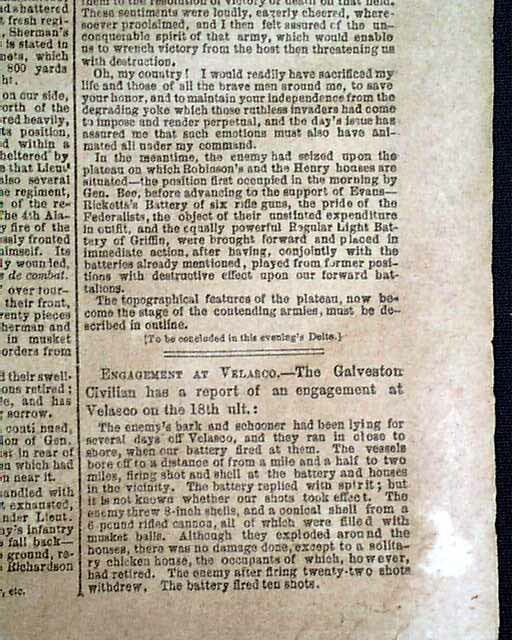 is a small bit headed: "Engagement at Velasco" (see). 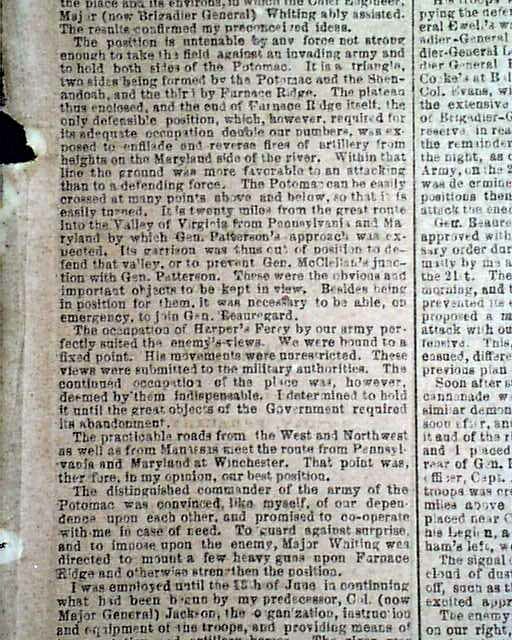 There are additional Civil War reports on pg. 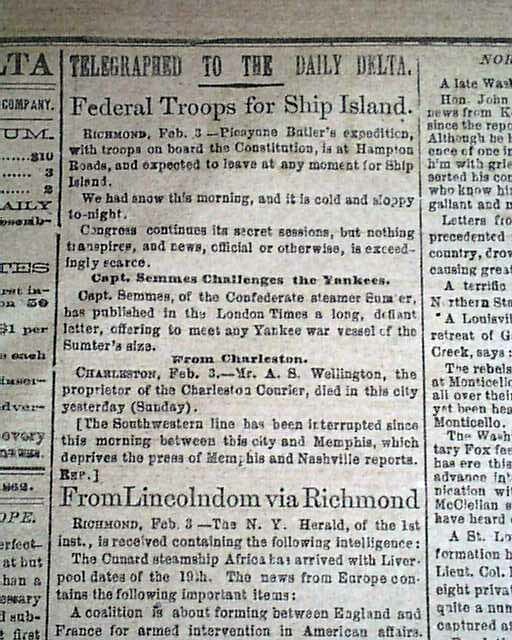 2 with items headed: "The American Question in Europe" "Those Federal Commissioners" "The Watson Battery" "From Lincolndom via Richmond" "Federal Troops for Ship Island" and more. 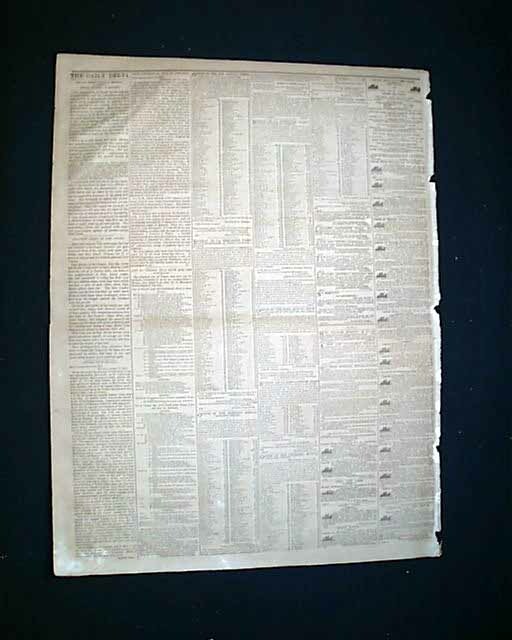 Pg. 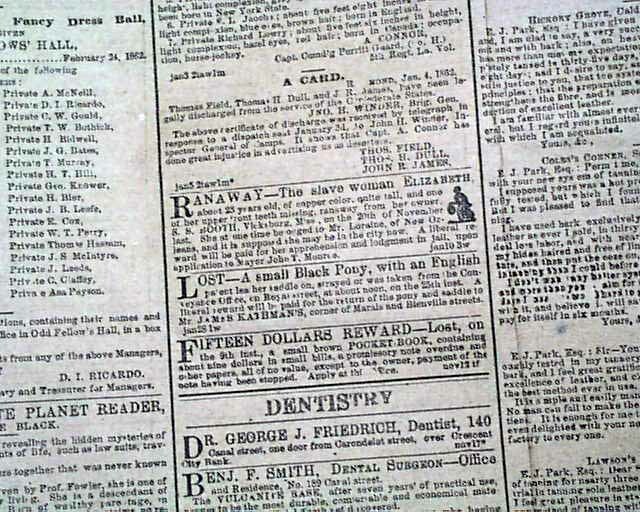 3 has some news items but is mostly taken up with ads, including a small illustrated ad for: "Ran Away--The slave woman Elizabeth..." with details (see) & another: "Negroes For Sale". The bkpg. 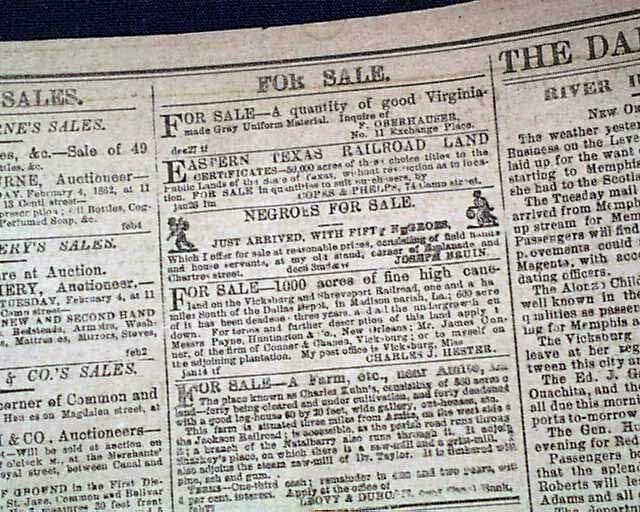 has some more Civil War reports with: "Small Notes--A Relief" "Another Fight in the Sound" "From the Seat of War in Virginia" "List of Vessels that have run the Blockade", plus there are many illustrated steamboat ads as well. Complete in 4 pgs., even browning throughout, a bit irregular at the blank spine margin not affecting any text, generally very nice.